Experience the difference authentic power makes as you drive the trusted and impressive 2018 Toyota Tundra. Featuring up to four doors and a seating capacity for up to five, this heavy-duty northern companion comes in a variety of trim levels. Select from the following: 4×4 DBL Cab SR 4.6L, 4×2 DBL Cab Long SR 5.7L, 4×4 DBL Cab SR 5.7L, 4×4 DBL Cab Long 5.7L, 4×4 DBL CAB Limited 5.7, 4×4 CrewMax SR5 5.7L, 4×4 CrewMax Limited 5.7L, and the 4×4 CrewMax Platinum 5.7L. Open the door to the 2018 Toyota Tundra and expect to have your world turned around. Fresh new design details and an innovative layout greet you and offer a series of enhancements for everyday driving. 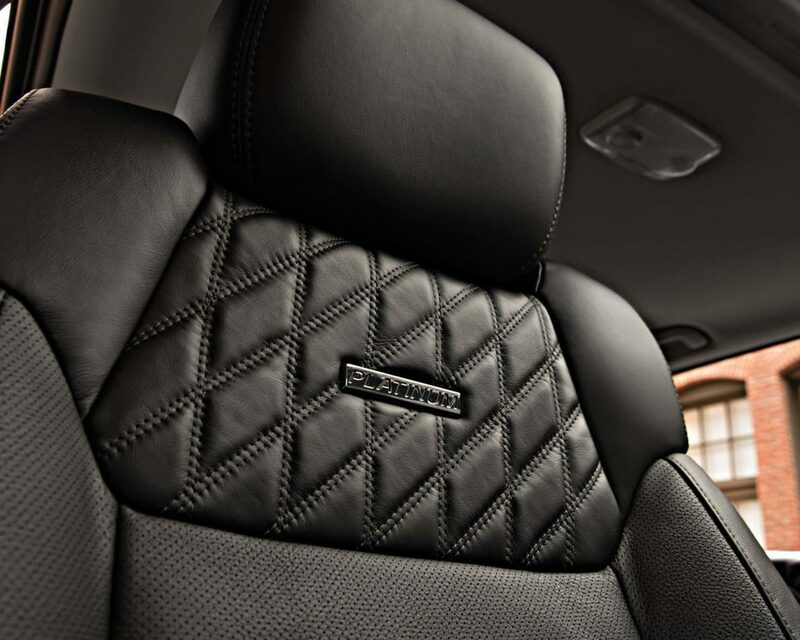 Enjoy the optional illuminated entry and available heated front seats for a luxurious experience. Optional leather seating surfaces with an available 10-way power adjustable driver seat offer the ultimate in comfort and control. Keep your passengers happy with help from the available dual-zone automatic climate control system as it enables you to set and maintain two different front temperatures at the same time. With your hands on the available leather-wrapped steering wheel, you are sure to experience each day with a refined touch. On the outside a bold and dominating exterior make the 2018 Toyota Tundra’s presence known. You are given details such as the available back or chrome grille surround and available chrome steel front and rear bumpers as you experience the power of intelligent design. 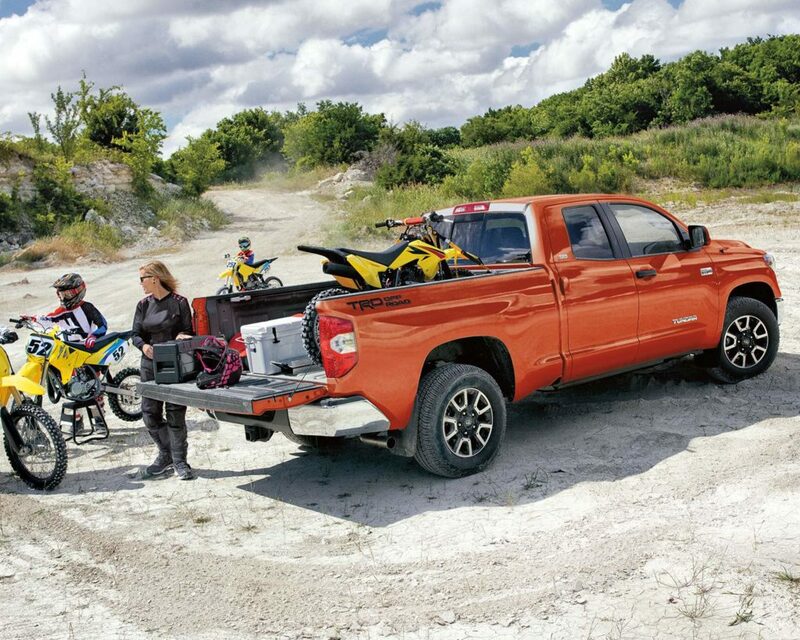 Cargo carrying capabilities are expanded through the available removable locking tailgate and available 6.5-foot Cargo Bed with Bed Rails and Tie-Down Cleats. Brighten up the road in a variety of weather conditions with the available LED headlamps, Daytime Running Lights and Fog Lights while the optional power slide/tilt moonroof brings in fresh air and natural light. Enhance your driving routine with the advanced technological features of the 2018 Toyota Tundra. 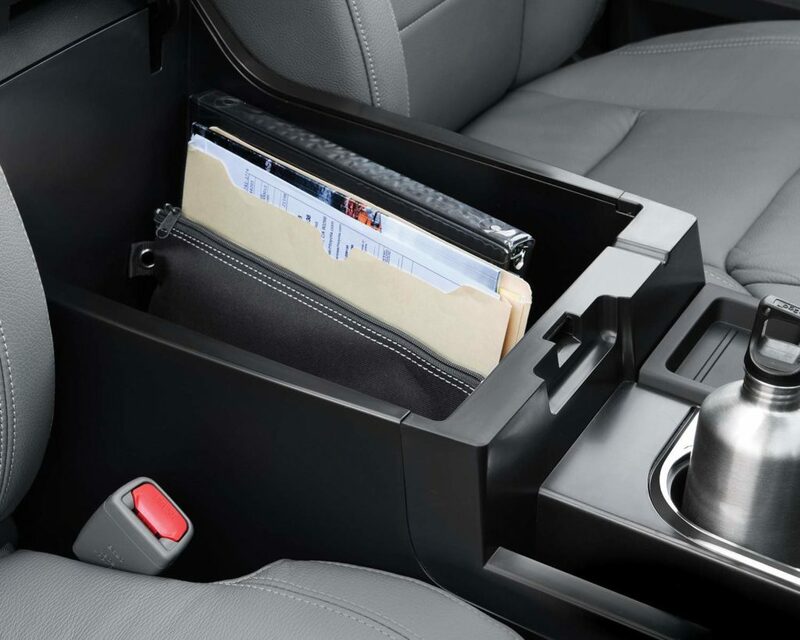 Connect to your compatible devices without the use of your hands thanks to the available Display Audio System and its optional 7” touchscreen with Advanced Voice Recognition and Bluetooth Capability. Keep your eyes on the road as you make calls, take messages, search music and more. Customize your 2018 Toyota Tundra to suit your specific needs and preferences with a series of available Toyota Genuine Parts & Accessories. Expand towing capabilities with a towing hitch ball or advanced durability with a TRD front skid plate that has been designed to protect the vehicle underbody from damage. Break free from the status quo as you set out in the effortlessly cool 2018 Toyota Tundra. Select from two available i-FORCE engines for a window into the future of power and capability. Handling is increased as you experience the responsiveness of the available 6-speed automatic transmission and its smooth shifting quality. Some conditions may apply. See Gateway Toyota dealer for full details in Edmonton, Alberta, Canada. 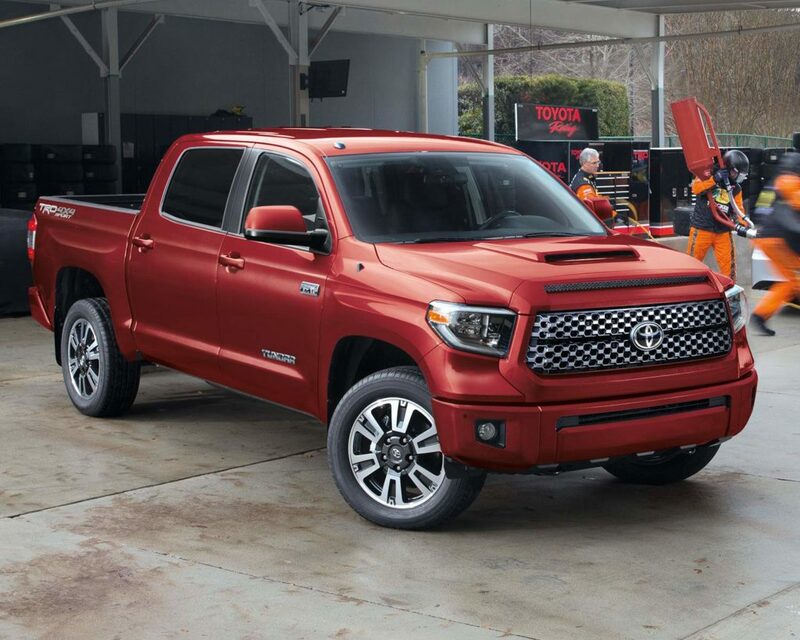 Premium options and impressive reliability come forward on the 2018 Toyota Tundra as you enhance your work life with a truck that has proven itself time and time again. For more information on the 2018 Toyota Tundra, visit your local Edmonton Toyota Dealer – Gateway Toyota. Through a wide variety of impressive vehicles and a team that is dedicated to helping you find exactly what you are looking for, Gateway Toyota is proud to be the go to spot for all your vehicle needs.